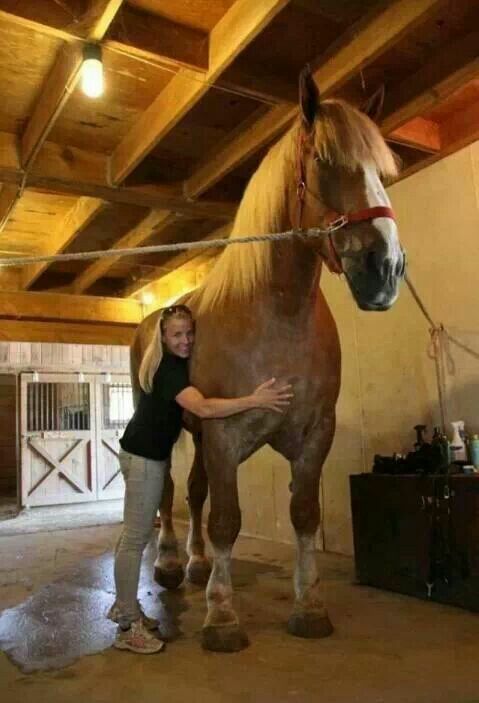 Big Jake is the world’s largest horse. He is 82.75″ at the withers. Imagine him with just his head sticking out. Yup, 100 inches. According to the news yesterday, we’ve had that much snow so far in Boston this year. 100 inches of snow is 8’3″. Sure, much of it has compacted down to a manageable 3′ or so, but it’s still a heck of a lot of snow. What things are 100 inches? Here are some comparisons. The standard height of ceilings in houses is 8′. So think of your entire living room filled with snow. My trailer is a standard 7′ tall Hawk. You can see that it’s dwarfed by the snow we’ve had! Most TB sized horse trailers are 7″ tall. 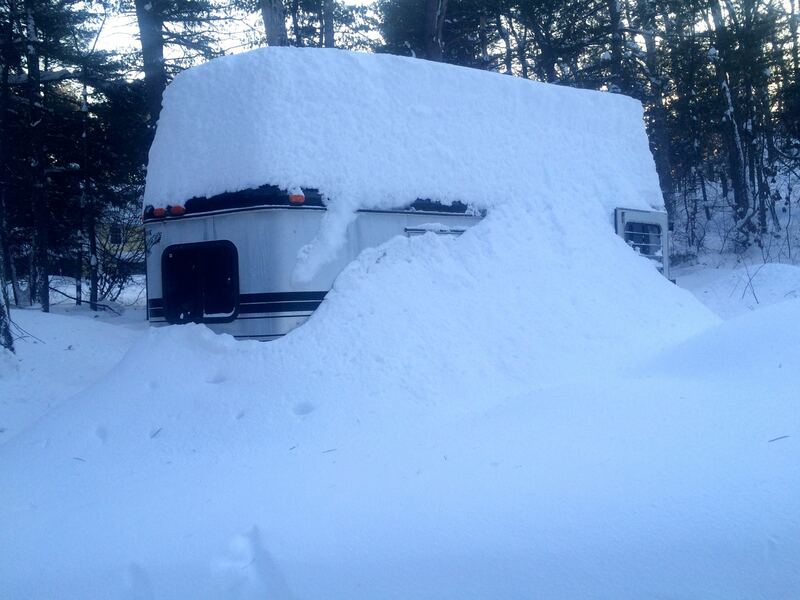 If I could find my trailer out in the snow I would say that we’ve had more snow than it is tall! It looks like there are four or so feet on top of it. The average size of a female American alligator is 8’2″. 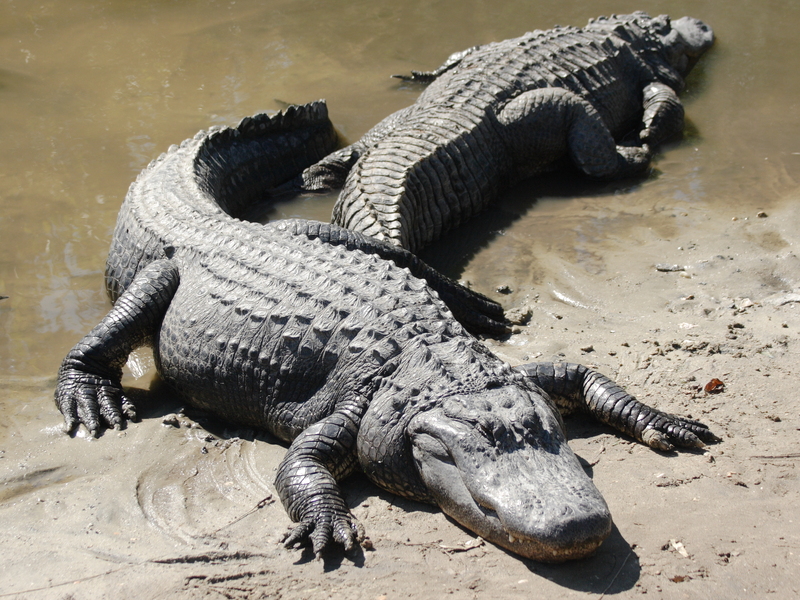 Female American alligators are generally about 8’2″. That’s pretty big but male alligators can be more than 11″. I suppose the real question is, how much mud does 100″ of snow leave behind when it melts? Ever wonder what your shadow self looks like?